Wiltshire Police have closed five roads in the borough including Kingshill Road, Salthrop Priors Hill and Victoria Road. The entire northbound carriageway of the A419 has also been closed. 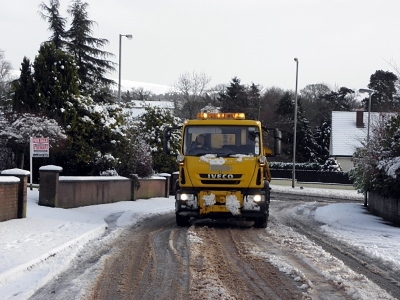 A number of Council services have been affected, with waste collections temporarily suspended and school and social care transport services are not in operation today. Due to increased pressures, the Household Waste Recycling Centre at Cheney Manor will be closed from 1pm. Further snow is forecast for today and regular updates on Council services, including library closures, are available via the home page of the Council’s website: www.swindon.gov.uk. Residents can also get updates on Twitter @SwindonCouncil or on Facebook by searching ‘Swindon Borough Council’.